The motorcyclist found by the roadside after he had a near-collision when trying to avoid a scavenging truck that allegedly came out of the junction at Kubong road near, Pyramid Park. 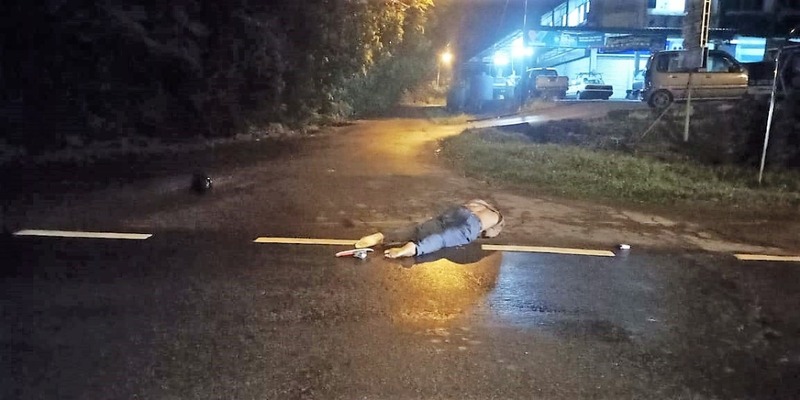 He suffered bodily injuries and had been referred to Miri hospital for further treatment. Limbang District Police Chief, Superintendent Mohd Bukhori Saffai when contacted confirmed the incident. He said the accident was believed to have occurred when the the motorcyclist skidded while trying to avoid hitting the scavenging truck that allegedly came out of the junction nearby.